The following material is made available for any international events promoters interested in advertising and coordinating workshops on my behalf. Find out how to accomplish complex and rapid calculations… in your head. Used by NASA but not released to the public… Vedic Mathematics is on the leading edge of re-discovered technology. Jain teaches this ancient yet simple system of mental – one line arithmetic, used extensively by Hindus more than 2,500 years ago. However the knowledge goes even further back to the Babylonian’s who applied similar techniques. 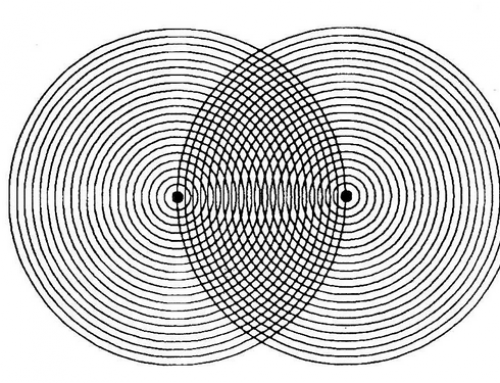 Jain incorporates a fusion of these techniques plus his own… and calls this subject ‘Galactic Mathematics’. Jain will give you an understanding of the 16 basic Sutras or ‘Word Formulae’ which can solve all known mathematical problems. During this workshop you will learn how to multiply 3 digit numbers in your head… with no calculator, pen or paper. Additional training is available by request. When you translate numbers into Art… elegant and phi-ratioed patterns appear. Hidden atomic structures are revealed which are often symbolic of life’s journey. By drawing a long connecting line from 1 to 2 to 3 etc to the last number, then tiled or tessellated, you will produce the atomic structure of Diamond (which is verified by the clairvoyant drawings of the Occult Chemists: Charles Leadbeater and Annie Besant). Jain will show you how to create complex and intricate atomic art from numbers in a magic square. Discover hidden mysteries within the 5 Platonic Solids and the 13 Archimedean Solids. Understand the importance of the Star Tetrahedron (the 3-Dimensional version of the Star of David) having 24 faces and 24 edges. Discover how this links to the 24 edges of the Cub octahedron… the compressible and alchemical shape that was revered by Buckminster Fuller who designed the first geodesic domes. You will learn and understand the 3-Dimensional form of the 5 pointed star that Pythagoras called the 5th element or spirit, ether etc. Currently known as the Dodecahedron. 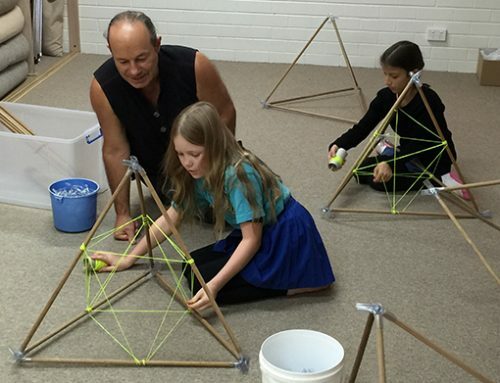 Jain facilitates an interactive workshop; in one section you will draw a 5 sided figure (pentacle or pentagon) and conclude with a 2-Dimensional geometrical design of the pyramid Gizeh in Egypt. Drawing the pentacle evokes cellular memory of our own divine proportion; the proportions of the human body are the same as the pentacle which resonates to the mathematics of all living things… beautifully portrayed in Leonado da Vinci’s Mona Lisa. With Jain you will explore ancient hidden mysteries… you will learn why the shape of the Pine Cone is optically similar to the Human Heart, why we are awe-struck when we view Sacred Architecture like the Parthenon of Greece and the Pyramids of Gizeh… and why we are attracted to the proportions of the famous Mona Lisa. Essentially, the human body is in resonance with the Living Mathematics of Nature. You will find out about secret codes concealed in the GAYATRI MANTRA, the most famous Eastern prayer for Enlightenment. 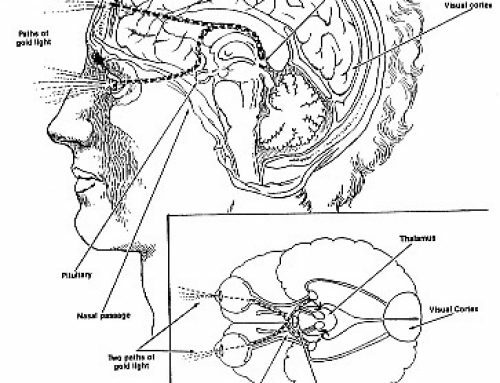 Embrace part of the ascension process already morphologically and geometrically encoded into our bio-magnetic and bio-electrical fields. Jain will help you discover Sacred Geometry; Math as Art, Math as Science and Math as History. He will help you to explore Sacred Geometries that are invisibly constructed and nested within the Heart, connecting us to all Memory of all Universes. Explore hidden patterns in timeless number sequences and learn how to convert these ancient codes into exquisite designs. Lots of worksheets to discover for yourself how the digital compression (reduction of numbers to a single digit) of the common Multiplication Table generates the creation of the atomic structure of rutile and platinum crystals! This is pure number theory at its best. Explore the Doubling Sequence (Binary Code of 1, 2, 4, 8, 16, 32 etc) how it is digitally reduced and plugged into the 9 Point Circle to reveal the mathematical derivation or origin of the VW symbol! Explore the 24 Pattern hidden in the Prime Number Sequence (1, 2, 3, 5, 7, 11, 13, 17, ,19… having no factors and thus are the indivisible atoms of creation). When the natural counting numbers are written in endless rings of 24, all the Prime Numbers can be located on the 4th Dimensional Templar Cross (like the Maltese Cross or Ambulance symbol). A fun and interactive learning environment where students learn how to rapidly calculate complex equations… without pen, paper or calculator. Most young people are visual… and have the ability to tap into ‘Pattern Recognition’ which is the key to rapid mental calculation. When teaching MAGIC SQUARES Jain creates the room as a theatre. Walls are draped with colourful Magic Square Murals the size of 3m x 3m. He wears a special Merlin-like robe that depicts the lesson. One of the main lessons shows how the common Multiplication Table produces the Atomic Structure of Platinum Crystal! 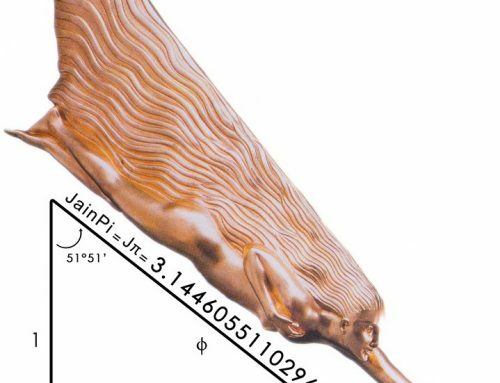 Jain offers creative and Multi-Cultural Mathematics whose roots stem from India, Egypt, Arabia etc. He teaches inter-subjectal Mathematics which cross key learning areas: i.e: Math as Art, Math as Science Math as History. E.g. We know that the Arabic domed mosques use Magic Squares in a secretive and elaborate way. And the Magic Square of 3 x 3 is the centre of the Tibetan Calendar! A riveting experience for young people who have fun learning something new and amazing, they really get to see Ancient Knowledge as leading edge technology… and the possibilities are endless. 2– Mathemagics for Seniors aged between 13 and 19. Adults can be involved in these classes if they choose to be with their child or children. (as revealed by the binary code of our first cell divisions of mitosis which express 4 cells as a Tetrahedron, 8 cells as a Cube, and then the Morula of 512 cells which is our primordial beginning in the self-organizing shape of the Torus Doughnut). 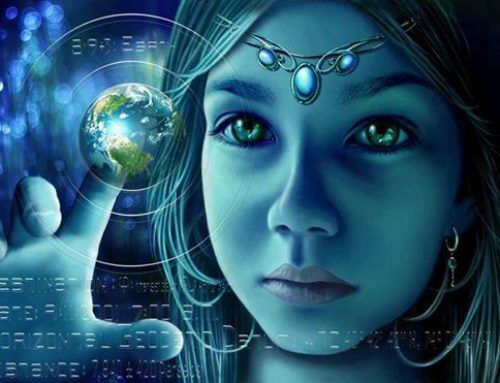 This is a fascinating subject on Sacred Gaia-ometry that concludes with the inner knowing that all Knowledge is biologically within us. Jain’s work with Vedic Mathematics, an ancient Indian system of Mental Arithmetic, empowers students to perform rapid mental calculations that can solve all mathematical problems without use of a calculator! Often, even poor maths students excel with this visually-based system. This alternative approach to Mathematics reveals magical patterns and relationships amongst numbers. It is ultimately a study in the Language of Pattern Recognition. I am happy to announce that a series of lectures on Sacred Geometry and Rapid Mental Calculation have been organized in a fashion that these 5 day seminars can he held in any location in the world and repeated. The first 5 days is called Level 1: Beginners and provides a basic introduction to the following topics listed below. A 30 page workbook is provided for each day of study. Then in 3 or 6 months time, those students who participated in Level 1 can proceed or enrol to Level 2: Advanced which is another 5 days. For the serious students who would like to teach this material there is Level 3: Teacher Training. The 5 programmes have been developed and realized by Jain over the last 30 years, mainly based on the supreme Art of Joining The Dots. This is your chance to learn all the valuable mathematical and geometrical knowledge of the Ancient Civilizations, and pass on the essence of this to your children who are interested in expanding their Knowledge. Special classes can be organized for teenagers from the age of 12 to 19. Often parents get involved with their children’s education and study in the same teenage class. Jain also runs Mathemagics classes for younger students aged from 9 to 11. Find out how to accomplish complex and rapid calculations…in your head! Used by NASA but not released to the public, Vedic Mathematics is on the leading edge of rediscovered technology – an ancient yet simple system of mental online arithmetic. Jain will show you the 16 basic Sutras – Word Formulae – which can solve most mathematical problems. You will learn to multiply 2-digit x 2 Digit numbers, like 24 x 24 in your head…with no calculator, pen or paper. The Ancients discovered internal symmetries and harmonies that lay hidden within the chaos…elegant and Phi-Ratioed patterns, … atomic structures often symbolic of life’s journey. The Magic Square of 3×3, known as the Lo-Shu, in ancient China, is the centre of the Sino/Tibetan Cosmology. The sums of the columns, rows and diagonals all add up to 15, symbolically creating Order amidst the Chaos, and Equality in all dimensions. Jain will show you how to create complex and intricate atomic art from numbers in various Magic Squares. Explore ancient hidden mysteries with Jain… why the shape of the pine cone is optically similar to the human heart, why we are awestruck when we view Sacred Architecture like the Parthenon of Greece and the Pyramids of Giza, and why we are attracted to the famous Mona Lisa. Every part of the human body, like where the elbow bends, is the same as partitions in flowers, and distances of planets from the sun. The Fibonacci Sequence (1, 1, 2, 3, 5, 8, 13, 31, 34…) is the emblem of Living Curvation and is the key to the mathematics of the 5 pointed star or Pentacle, which is the shape of every biological protein in the human body. Discover the secret codes concealed in the Gayatri Mantra, the most famous Eastern prayer for Enlightenment. The human body is in resonance with the Living Mathematics of Nature. Embrace part of the Ascension process already morphologically and geometrically encoded into our bio-magnetic and bio-electrical fields. Explore multi-dimensional geometry and the sub-atomic realm… Jain will help you grasp the concepts of a Fourth Dimension and Time Travel. Discover the importance of the Star Tetrahedron’s 24 faces and 24 edges, and how this links to the 24 edges of the Cube Octahedron… the compressible and alchemical shape revered by Buckminster Fuller. Glimpse hidden mysteries within the 5 Platonic Solids and the 13 Archimedean Solids. Learn the 3-Dimensional form of the 5-pointed star that Pythagoras called the fifth element – Spirit aka Dodecahedron. A 30 page workbook is supplied for each day of study. graded as Level 2 or Advanced. 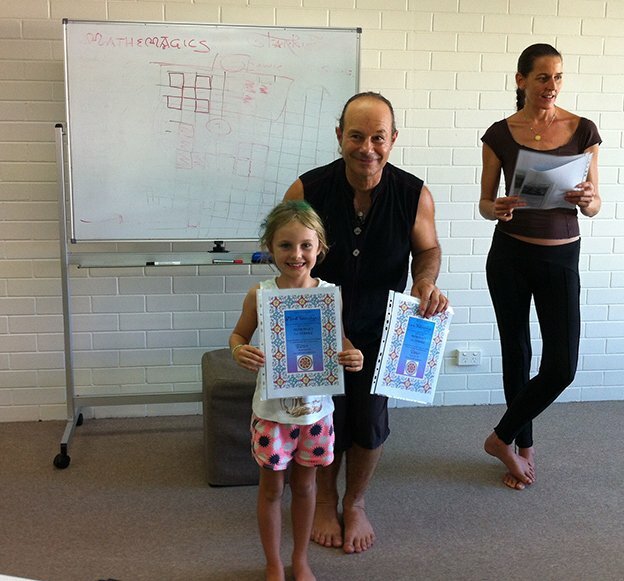 to become a qualified Jain Mathemagics Sacred Geometry Teacher. Phi Ratio in the DNA Molecule, fractality. being the 2nd Pattern revealed in the Fiboncci Sequence).